At the end of this week, an order arrived for me from an Amazon purchase. Not that I really needed another one, but I had ordered a Nikon 1 J1 mirrorless camera. Because I had been using my high-end Nikon and Canon cameras, I had relegated all other cameras to point-and-shoot status. Honestly, the point-and-shoot cameras are more ideal for the foodtography that I do because they are less conspicuous and they bring very little attention to me clicking away capturing impressions of the food delights. 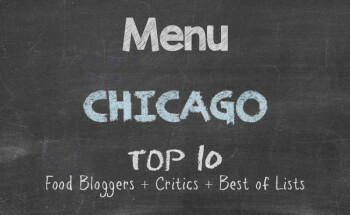 But I am such a stickler for the quality of the photography that I post on Chicago Alphabet Soup, which may be why so many advertising agents who read the blog think I purchase the photos from the restaurants I review. Nevertheless, the Nikon 1 J1 arrived and that meant I needed to start testing it out to see if it was indeed worthy of the purchase. I spent Saturday testing shots at my favourite Indian restaurant in Edgewater. 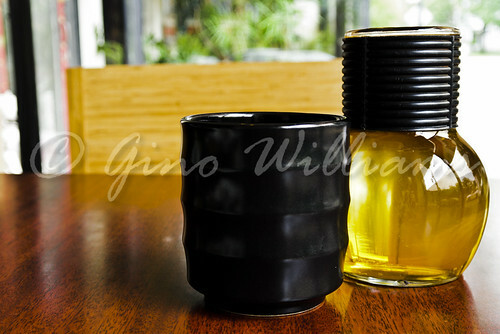 Then I sauntered over to my favourite North Side coffee and dessert shop for more clicks. Sunday morning before church I tried my hand at foodtography at a breakfast spot I had discovered. Up to that point, I was loving the output that I was seeing. Then later in the day, my belly was growling and that meant it was time for me to head out in search of something full of flavour to quiet the rumbling. With a bit of the North Side disrupted with a street festival — a reason for guzzling beer, as if one can’t do that in his or her own home or in a sports bar — I lingered around the Lincoln Park vicinity and wandered past a Japanese sushi bar named Grand Katachi at 4747 N. Damen Avenue, that had a magnetic appeal to it. And I, the culinary vampire, entered so that I could sink my pretty teeth into some worthy goodness. 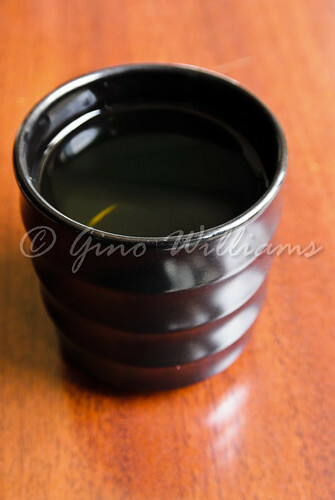 I started with jasmine green tea and gyoza. 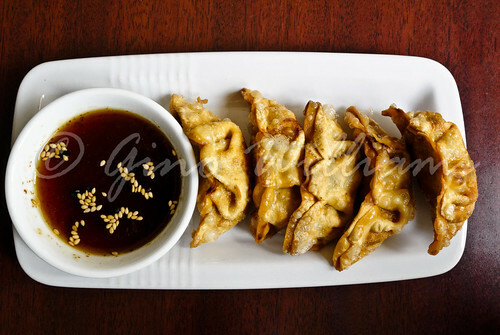 These fried Japanese dumplings served with balsamic shoyu dip were great for whetting the appetite. There was a moment when I thought of the festival participants, many who were barely a few weeks over the age of 21 and so giddy with elan that they could finally drink without someone of legal age sneaking them a beer, stumbling around spilling their beer and giggling for no valid reason. They could have been getting fed something aside from fizzy pop and carnival vittles, served by vendors with dirty hands. That was a quick thought as I worked the metal chopsticks on the gyoza and washed the morsels down with the jasmine green tea. Being a little more adventurous than I should have been, I had ordered three maki rolls all at once. It was when the flight of maki came to the table that my eyes widened and I thought to myself that I should have played it safely and ordered one at a time. Water under the bridge, as they say, since I simply decided that I would pace myself and enjoy the maki rolls. The North Side was practically in gridlock thanks to the street festival a few major blocks south of where I was and I had time to click away with my recent Nikon 1 J1 purchase. Not trying to be a prude about my experience and tackling each maki linearly to completion before moving on to the next, I had one piece of each until I was done and reaching for the pillow at the table next to me. 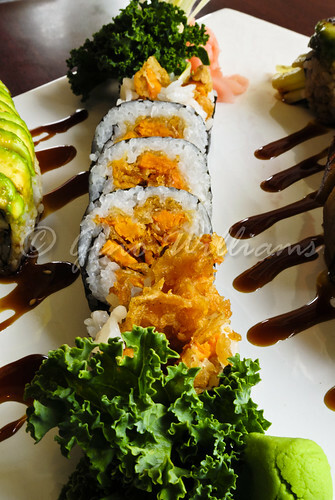 The sweet potato maki was the first to have me singing with a low soprano: Satisfying. 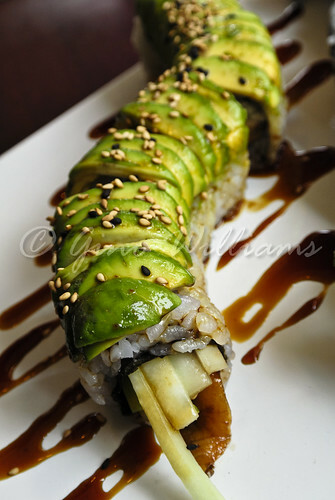 Then there was the caterpillar maki that kicked in with a tenor: Gratifying. The dragon maki rounded everything out in bass: Electrifying. In my mental Disney, I was in the middle of the floor with a spotlight on me while I was singing, “What’s up, maki rolls? Whoa, whoa, whoa,” after which I launched into my Tom Jones dance. However, in reality, pedestrians who were walking by the restaurant were looking at me sitting at the window seat with a face fixed complete with a stupid smile. Don’t ask me how I finished all of the maki rolls. Just know that I did. And another nugget of information is I somehow had enough room for dessert. 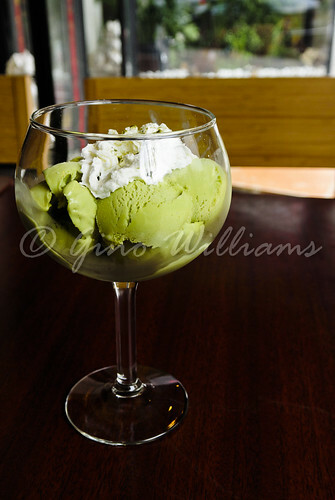 So, I had green tea ice cream. Cue scene with me rocketing to the moon. 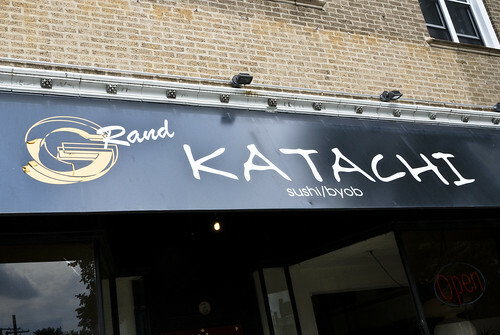 Grand Katachi seems like a potpourri of all things hip once you go in. Usually, Japanese sushi bars and lounges have the sterile, Stanley Kubrick effect where it is quite evident that the interior designer and decorator were men. Pay attention to the colour schemes, or the lack thereof. Now, I will admit that I went when perhaps it was light in patrons. However, the service was top and seeing that I all but licked the plate and found a way to sop the remnants of the ice cream from the glass, the quality was also top. If my mind serves me correct, you bring your own alcohol if you so desire to have libations other than soda, tea, or water. The prices don’t come in a discount fashion, so beware if you’re budget conscious. Not all of the action is to be had on Lincoln Avenue proper. And if you get a new camera or even if you don’t, I think you will find bliss at Grand Katachi. You may even do your Tom Jones dance while clicking the metal chopsticks to make the sounds of castanets. 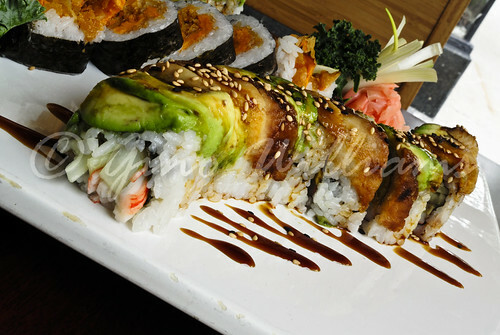 What’s up, maki rolls? Whoa, whoa, whoa.